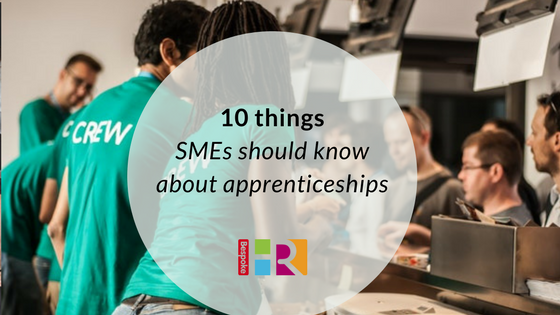 We aim to bust some of the myths surrounding apprenticeships when it comes to SMEs. The Government plans to increase the number of apprenticeships to around three million by 2020, so now is the time for all businesses to investigate the benefits. Businesses with a wage bill of less than £3m can claim 90% of their apprenticeship training costs back, or 100% if the apprentice is 16 – 18 years old. In addition, those employing young people or those who have been in social care, could also receive a grant of £1000. As part of its reforms last year, the Government now allows firms to design their own schemes with bolt-ons to suit their own business needs. Before you embark on a pilot scheme, you will need to choose the relevant apprenticeship framework or standard and determine the level of apprenticeship that meets your business needs. Despite the dismal stats released last year on the take-up of apprenticeship places, the number of apprentice advanced or higher programmes has risen. Advanced schemes are equivalent to 2 A level passes, higher levels are equivalent to foundation degree level and above. Many can last as long as five years, depending on the level of apprenticeship. Apprenticeships are not limited to new recruits; existing staff members can embark on a scheme. However, your standard employee contract may not be sufficient. An apprenticeship agreement must be signed by both the apprentice and the employer at the start if any apprenticeship This needs to specify the length of employment, training, working conditions and the qualifications they will receive as well as a statement of the skill, trade or occupation for which the apprenticeship is being trained for. This is £3.90 for apprentices age 19 or under (as of April 2019). The same applies for apprentices 19 and over and in the first year of their apprenticeship, after that they are entitled to the National Minimum Wage. Many of the special protections in the regulations for young workers under 18 will apply to apprentices.